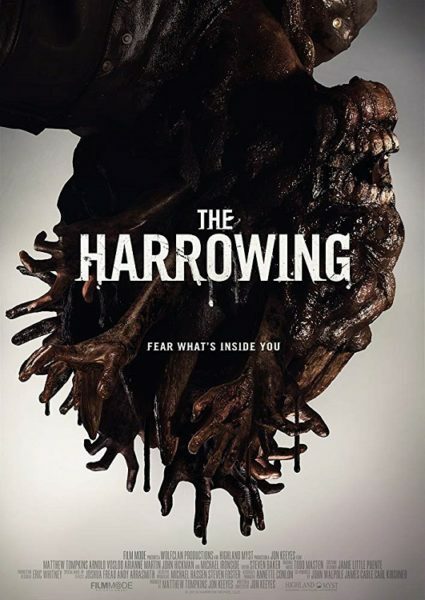 Official Trailer Arrives For THE HARROWING! The film festival route seems to be the way to go these days. One film that has done great on it's festival run is director Jon Keeyes' Horror thriller THE HARROWING. Audiences won't have to wait long as the flick will be released soon. Head on down below to have a look at the official trailer. THE HARROWING stars Arnold Vosloo, Michael Ironside, and Matthew Tompkins. "Wrongly accused of the ritualistic murder of his best friend, a vice detective bent on finding the truth is plunged into a living Hell when he goes undercover and discovers the truth behind a demonic myth." THE HARROWING will be headed to VOD on December 25th.